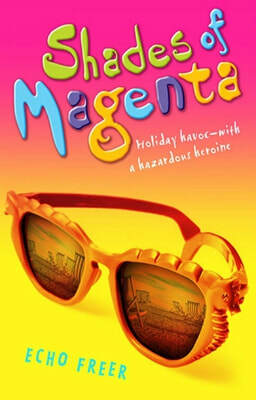 Magenta can’t hide her disappointment: her dream destination turns out to be a holiday camp in the middle of nowhere. But she’s looking forward to topping up her tan and starring in the talent contest… not to mention a bit of holiday romance. ​Soon Magenta’s back on form, with parachuting pandemonium and disaster on the diving board…Will gorgeous Daniel be able to stop her getting into deep water?